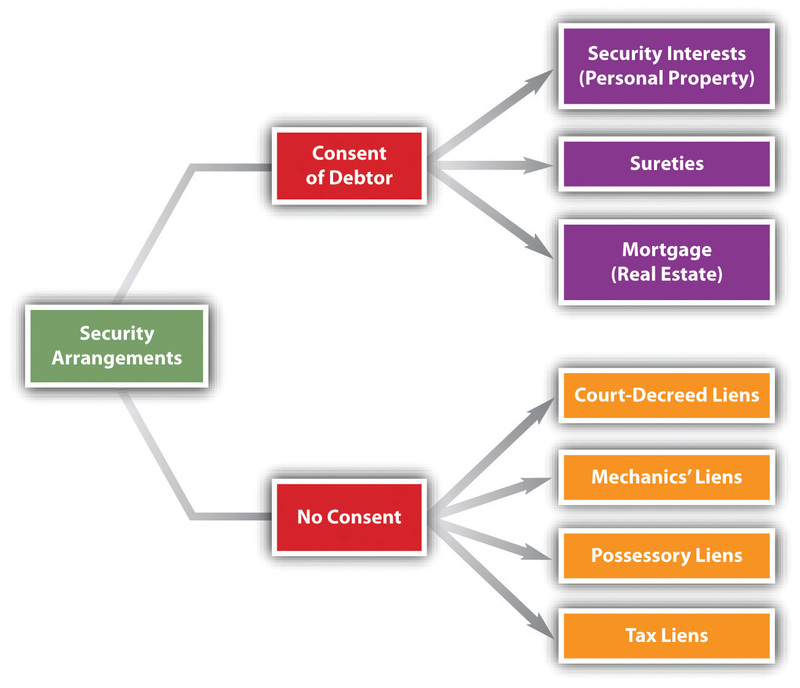 This is “Mortgages and Nonconsensual Liens”, chapter 26 from the book The Law, Corporate Finance, and Management (v. 1.0). For details on it (including licensing), click here. You may recall from Chapter 25 "Secured Transactions and Suretyship" how important it is for a creditor to perfect its secured interest in the goods put up as collateral. Absent perfection, the creditor stands a chance of losing out to another creditor who took its interest in the goods subsequent to the first creditor. The same problem is presented in real property security: the mortgagee wants to make sure it has first claim on the property in case the mortgagor (debtor) defaults. The fixture-filing provision in Article 9 of the UCC is one exception to the general rule. As noted in Chapter 25 "Secured Transactions and Suretyship", the UCC gives priority to purchase-money security interests in fixtures if certain requirements are met. Unless they live in the home for twenty-five or thirty years, the mortgagors usually pay off the mortgage when the property is sold. Occasionally, mortgages are paid off in order to refinance. If the mortgage was taken out at a time of high interest rates and rates later drop, the homeowner might want to obtain a new mortgage at the lower rates. In many mortgages, however, this entails extra closing costs and penalties for prepaying the original mortgage. Whatever the reason, when a mortgage is paid off, the discharge should be recorded. This is accomplished by giving the mortgagor a copy of, and filing a copy of, a Satisfaction of Mortgage document. In the Paul H. Cherry v. Chase Manhattan Mortgage Group case (Section 26.4 "Cases"), the bank mistakenly filed the Satisfaction of Mortgage document, later discovered its mistake, retracted the satisfaction, accelerated the loan because the mortgagor stopped making payments (the bank, seeing no record of an outstanding mortgage, refused to accept payments), and then tried to foreclose on the mortgage, meanwhile having lost the note and mortgage besides. The buyer need not assume the mortgage. 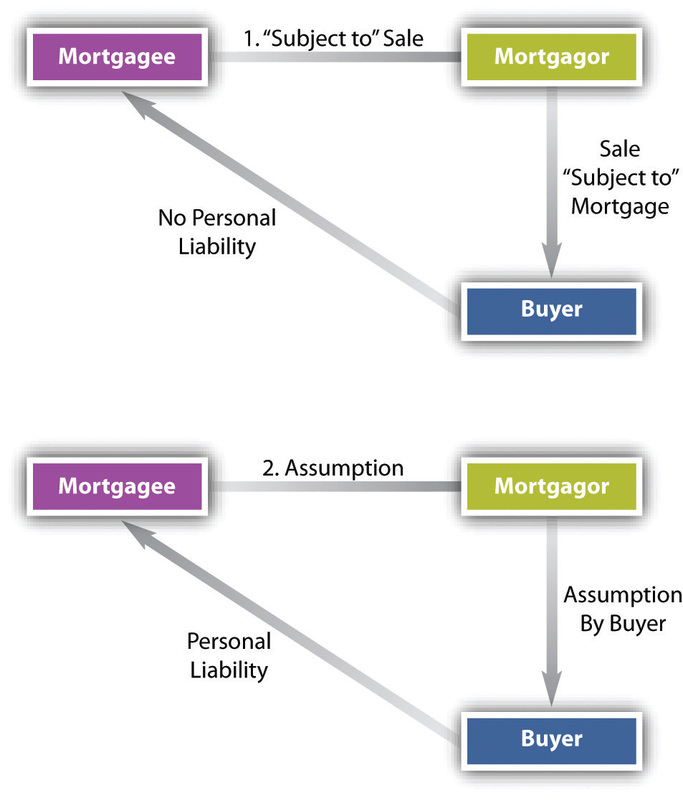 If the buyer purchases the property without agreeing to be personally liable, this is a sale “subject to” the mortgage (see Figure 26.3 "“Subject to” Sales versus Assumption"). 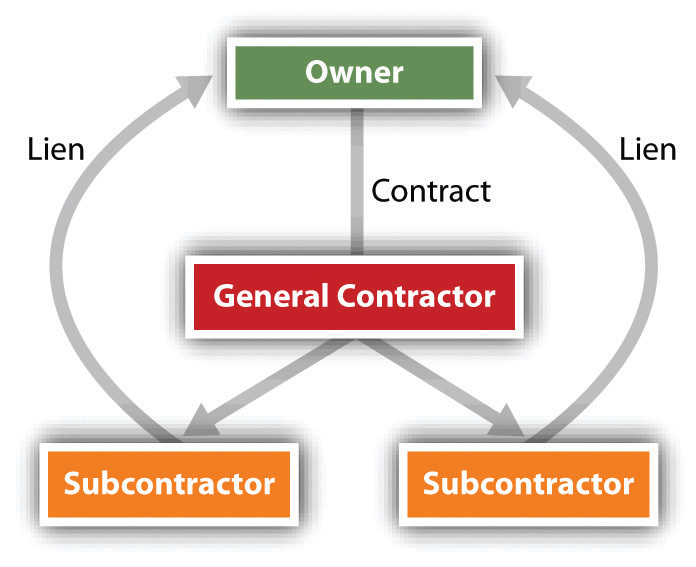 In the event of the seller’s subsequent default, the bank can foreclose the mortgage and sell the property that the buyer has purchased, but the buyer is not liable for any deficiency. 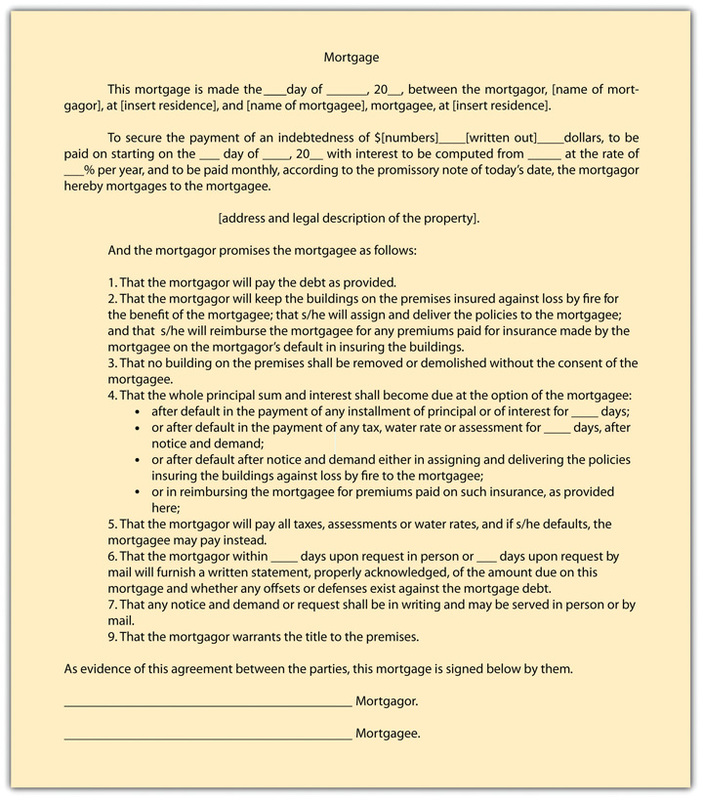 The third method of terminating the mortgage is by foreclosure when a mortgagor defaults. Even after default, the mortgagor has the right to exercise his equity of redemption—that is, to redeem the property by paying the principal and interest in full. If he does not, the mortgagee may foreclose the equity of redemption. Although strict foreclosure is used occasionally, in most cases the mortgagee forecloses by one of two types of sale (see Figure 26.4 "Foreclosure"). Alpha Imperial Building, LLC v. Schnitzer Family Investment, LLC, Section 26.4 "Cases", discusses several issues involving deeds of trust.